Onto week 2 of the vegan challenge! It hasn’t quite gotten easier yet…still missing meat and buttery pastries but managing to curb the cravings. The OH has commented on me looking slimmer since I started the challenge but I think he’s just being sweet. I don’t feel slimmer but I don’t have that heavy bloaty feeling after meals like I used to. My parents came to visit today so there was a lot of eating out. Dinner: went to High cafe where almost everything, even the salads were not vegan friendly. One chicken salad states it contains fish and so did the falafel but it was a typo luckily or else I had nothing else available to me! Got the falafel salad plate with side salad & picked out the cube of feta cheese. It was good but I feel very limited by the menu. Snuck a few of my sisters chips and mushy peas too. 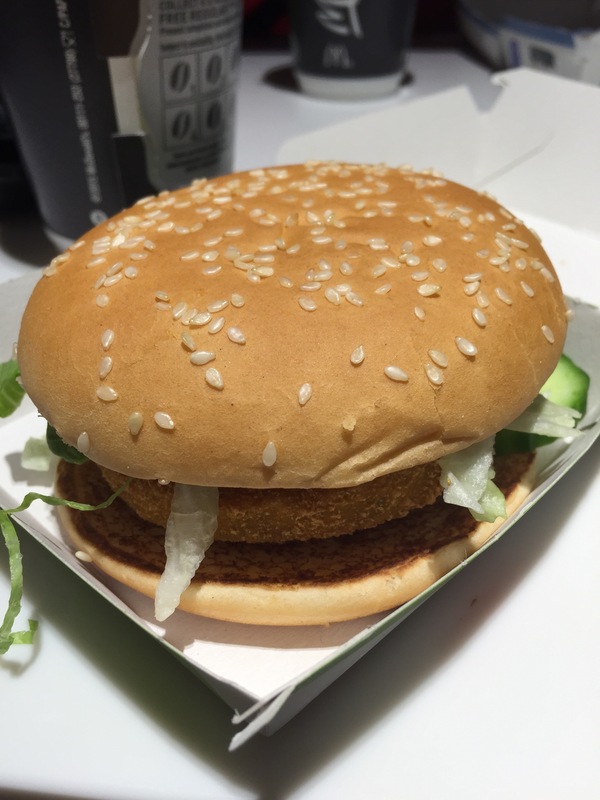 The veggie burger in McD’s. It’s not all bad considering its McD’s. The burger tastes a bit like an Indian samosa. 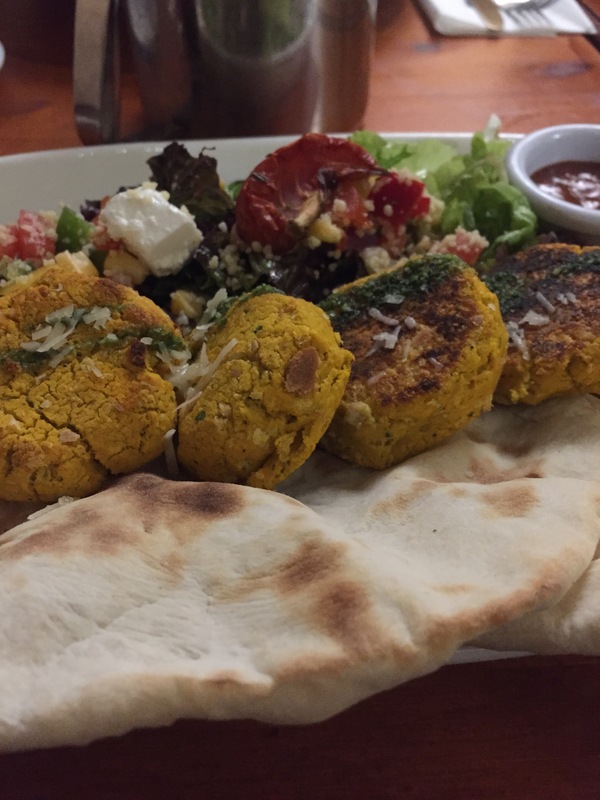 My falafel plate from High Cafe.